Rio is the do-it-all chair. 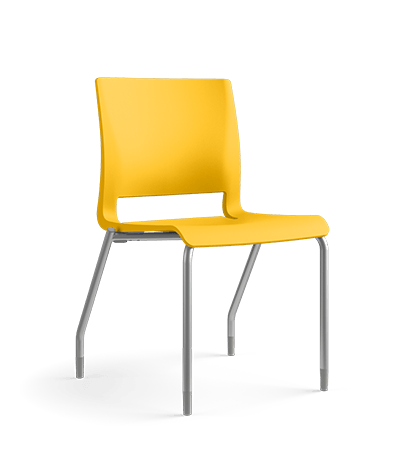 It is an award winning plastic chair with patented flexing technology, modern colors, and an extra-slim, stack-able frame. SitOnIt’s complete family of Rio models feature Active Rebound Control (ARC) Technology – a performance-minded flexor insert that supports 20 degrees of motion and responds to precisely to the amount of weight pressed against it. 4-leg, wire rod, 24″ counter and 30″ bar stool models are all available in 14 plastic shell colors, two frame finishes, and thousand of textile options for either fully upholstered or upholstered seat models.